The negatives I sent to ScanCafe have been scanned! For those of you who haven’t been following along, ScanCafe is a negative scanning service I am testing anonymously with a shoebox of wedding negatives I’ve had lying around since 1997. I sent my negatives to them on November 9th, scanning in their India facility began on November 30th, and the scans were ready for review on December 14th. First of all we apologize for the delay in responding to your issue. We just receive a confirmation from our Imaging center that all your images (189) are now uploaded to your account. 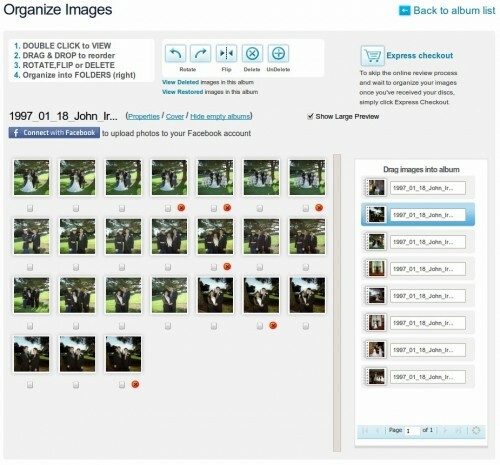 The problem you faced was due to an error while uploading your images to your account which is now fixed. Please login to your account to view your scans. We apologize for the inconvenience caused and appreciate your patience. It was a stressful four days waiting to find out if my negatives had been lost forever. Once that was out of the way though, the rest of the process worked flawlessly. Previews of all of your negatives are available for review. Delete the ones you don’t want (you can undelete them if you change your mind) and pay the balance due. I ended up discarding 15 of the negatives. I would have liked to have seen larger previews. On some of them, it was difficult to see the small differences between similar shots so I ended up buying both scans. In total, I spent about 1 hour of my time getting all of these scans, mostly spent at the preview stage. 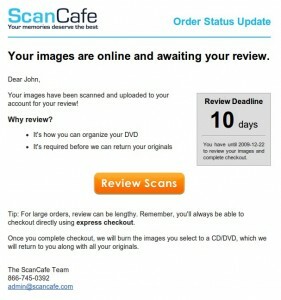 Before I sent my scans to ScanCafe, I sent a few to Brian Auer at Epic Edits (a film and scanning do-it-yourself expert) so that we could compare scanning quality of the equipment and time spent. We tried our best to simulate the ScanCafe level of service (scan, dust removal, white balance, limited retouch) and Brian found that he was taking about 12-17 minutes per negative. Even if doing it myself only took 10 minutes each, that would have used up over 31 hours of my time. So, it cost me $185 but I saved 30 hours of my time. 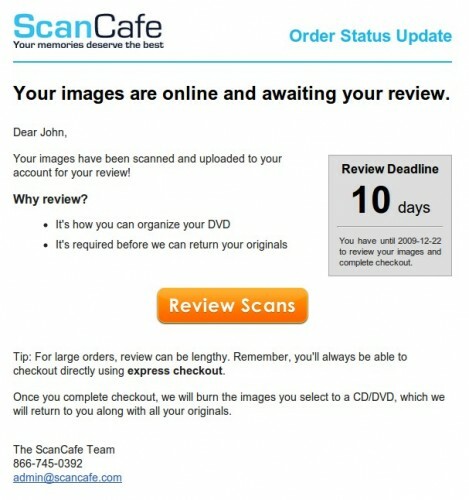 Once I get the scans back we’ll be able to look at the scans side by side and see how ScanCafe fared against Brian.